Due to a change in government and a backlog of applications, foreign nationals will experience approval delays for residence permits, special category visas, change of employer applications, company accreditations, tourist visa extension and change in visa category applications until the government officials' roles are finalized, which is expected to occur within a few days. Visa renewal applications are still being adjudicated on time. Approvals of initial residence permits, special category visas, change of employer applications, company accreditations, tourist visa extension and change of category applications are delayed until government roles are finalized following a change in government. Following the election of a new president in Costa Rica on May 8, the government is replacing its officials and re-assigning current officials’ roles. Immigration officials will be finalized within a few days, after which approvals will resume. Companies and foreign nationals who have submitted or plan to submit the above-referenced applications should not expect an approval until government officials’ roles are finalized. At this time, there are no alternatives or emergency options to obtain application approvals. This may affect work start dates and travel plans. Foreign nationals who have submitted or plan to submit visa renewal applications are not impacted by the change in government. Foreign nationals should expect further delays due to an expected backlog in applications. Although the political party has not changed in Costa Rica, it is not clear at this time whether or what changes will come from the newly-elected officials. 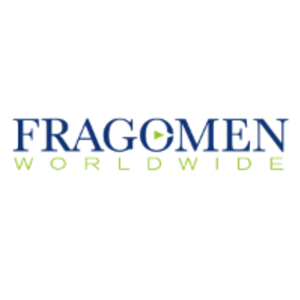 Fragomen will monitor the situation and report any important immigration changes.